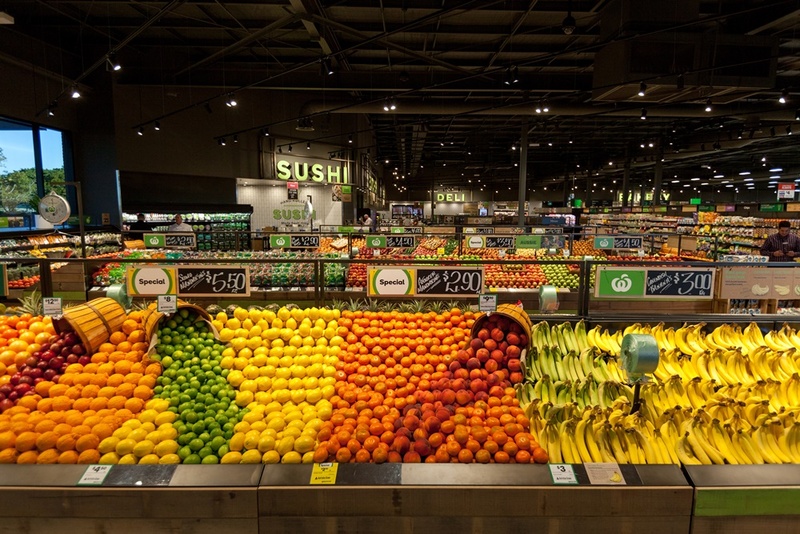 Woolworths has opened the doors on a ‘next generation’ supermarket in Brisbane’s inner east. The Racecourse Village location is the first of Woolworths’ new format stores to open in Queensland, and draws on many elements rolled out earlier this year as part of a renewal of its Marrickville Metro store in Sydney, with some added features for Brisbane shoppers. This includes a drive thru service area where customers can pick up online orders and dedicated parking bays for store-to-boot convenience. Shoppers will see a range of features new to Woolworths Queensland stores, including flame-roasted chickens, a fish market, and artisan bread and made-to-order cakes from the full production bakery. There is also a cheese cave, an in-store butcher, and a focus on stocking produce from local suppliers. Woolworths Queensland state manager Matthew Franich said the retailer wants to create neighbourhood food stores for its customers. “[Woolworths Racecourse Village Ascot] provides a great shopping experience for our local customers, with good prices on products they want, a great fresh offer and the convenience they are looking for,” he said. As with Woolworths’ Marrickville Metro store, LED lights have been fitted to reduce power usage, along with carbon-efficient refrigeration and air conditioning systems. The store will employ 127 team members.